The Lynchpin program is designed to encourage arts/ocean science collaborations and conversations that bring ocean science to the community in new ways. Hear more from the Science Show, Radio National. It could not be more special than to announce that sculptor, installation artist, poet and video artist, Jenny Pollak, will be coming to spend what we are calling a Lynchpin Residency in Hobart, for four to six weeks, from the end of February, 2017. Since that introduction, Jenny and I have been in conversation – and I’m happy to say she will be here to explore, not only the pleasures of Tasmania, MONA etc . . . what may emerge from the collaboration. Please visit Jenny’s website and take time to understand something of the integrity and deep listening expressed in her work: click here. This will be Lynchpin’s 2017 conversation piece. Later in 2018, visit Jenny’s website to see the video works that continue to develop from the Residency. you can follow these in detail under Our Projects on the main menu bar above. The largest of these projects has been the three-year program The Making of a Symphony. 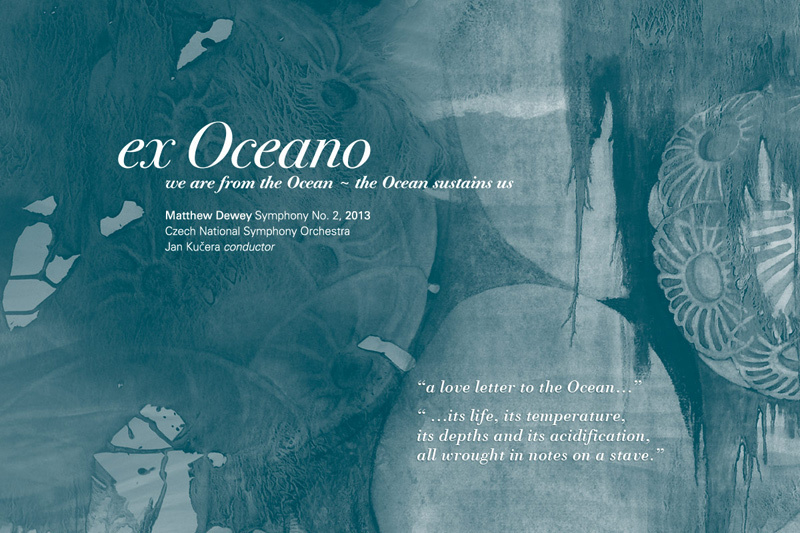 The symphony ex Oceano – we are from the Ocean – the Ocean sustains us is dedicated to those whose lives are given to ocean science. We invite you to see the two promotion pieces and read related material about the work. PhD candidates Nick Roden and Robert Johnson expressed their ocean science to composer Matthew Dewey; the composer expressed that science back to them in sound. The work was recorded in Prague in 2013 and the symphony was broadcast on Classic FM in early 2015 – and subsequently, the second movement, the phytoplankton, had airplay several times in 2015. Saturday 31 October 2015 10:30AM and repeated during the Summer Program 2016. Listen to the composer and the scientists talk with Dr Ann Jones (view full episode). Two oceanographers and a composer come together to create music. They each have a love for the ocean. This music does not replace the science. It just expresses it differently, and importantly, it expresses the human-ness of science. That is, the fact that scientific endeavour is driven by humans, each with their own connection to their topic of choice. Dr Ann Jones, producer and presenter, Off Track. 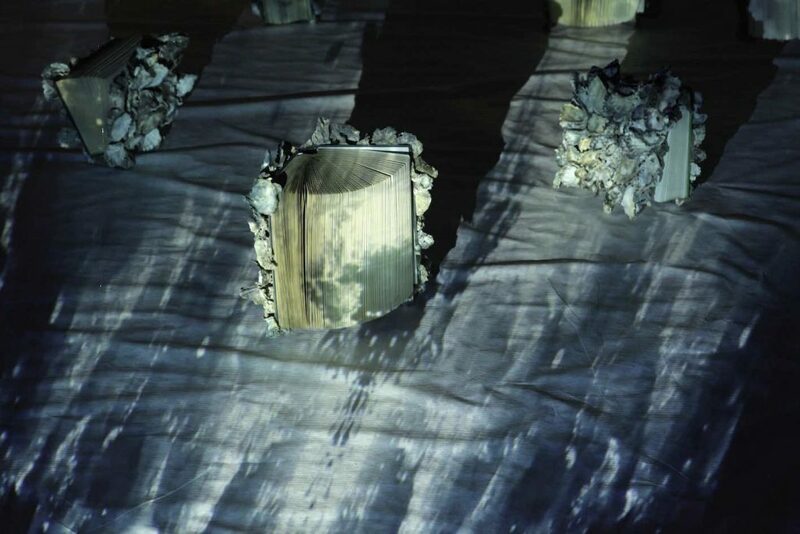 COAL and CAPE FAREWELL – the two European partners behind ARTCOP21 – mobilised artists and the wider cultural sector, to create a festival and cultural symposium during the Cop21 conference – the 21st United Nations Conference on climate change, Paris. From 30th November until 10th December 2015, an exceptional cultural-climate festival was hosted in the city of Paris and as a global on-line arts response in support of the COP21 proceedings. From 18 November 2015 ex Oceano was part (click here) of the on-line global community through the ARTCOP21 initiative. ARTCOP21 : 380+ Events, 40+ Countries: Climate is everyone’s business. From the completion of the symphony, much work has gone on to promote the work around Australia and overseas. Lynchpin also made a shift to focus funds on artists for a season or two – encouraging them to respond direct to the Ocean science connections we’ve established over the years. During 2015, Lynchpin was in discussion with Lauren Black, an acclaimed Hobart based artist who is well known for her detailed botanical work. View Lauren’s formal botanical work at www.botanicalfineart.com. Early in the year Lauren let us know that new and exciting opportunities have opened for her that will expand her current work into several new areas. Due to these unexpected developments, she was now unavailable to explore what might have emerged from the science of the Ocean. In December came the exciting news of a Churchill Fellowship for Lauren! She will use her scholarship to visit collections in museums in Paris, Italy and the UK, where she will take particular note of medical and botanical collections. Lauren would like her work to build a bridge between art and science that opens our understandings of the body – work which began with her Memento Mori Exhibition in 2015. On a wider issue within the Marine Science community, as Coordinator of Lynchpin, I am shocked at the proposed CSIRO cuts to Ocean and Atmosphere research – with consequences for the international Ocean research excellence in the state. When we began the Lynchpin symphony collaboration in 2011, none of us could have imagined that the research areas underpinning the “science score” for ex Oceano would be threatened in this way. Lynchpin values the strong links formed with the Living Data program at UTS (click on the Krill image in the menu-bar below! ); an invaluable relationship that has allowed Lynchpin projects to appear in Living Data exhibitions/Ultimo Science Festival over the past several years, so bringing them to a wider audience. Living Data: Align 01 (2015): scroll to 2015 03 05 Align – where animations by Dr Lisa Roberts, leader of the Living Data program, are backed by an excerpt from the symphony ex Oceano by Matthew Dewey. Living Data Lab: Evolving Conversations(2014): see ex Oceano as one of a wide range of contributions from around the globe, from artists with a focus on making climate change visible. Living Data: Art from Climate Science(2013): hear artist Malou Zuidema talk about the process of animating the science behind the Lynchpin project Forests of the Sea. Living Data: Animating Change(2012): including phytoplankton works by Sue Anderson that seek to “dis-conceal” the role of this “lynchpin” organism; a response to the first scholarship offered in 2009 and the basis of the Lynchpin program.